"A nice thing to have around during the holidays, but don't expect them to stay around long. 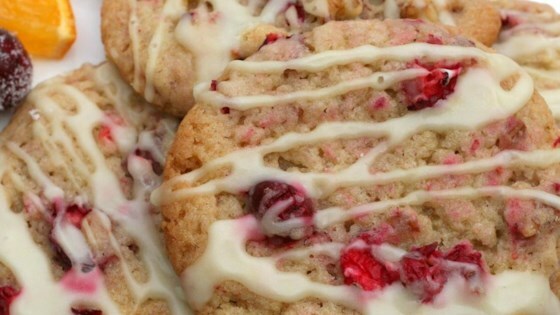 These orange-flavored cranberry cookies are tart and delicious, not to mention beautiful. Not really a favorite of kids."